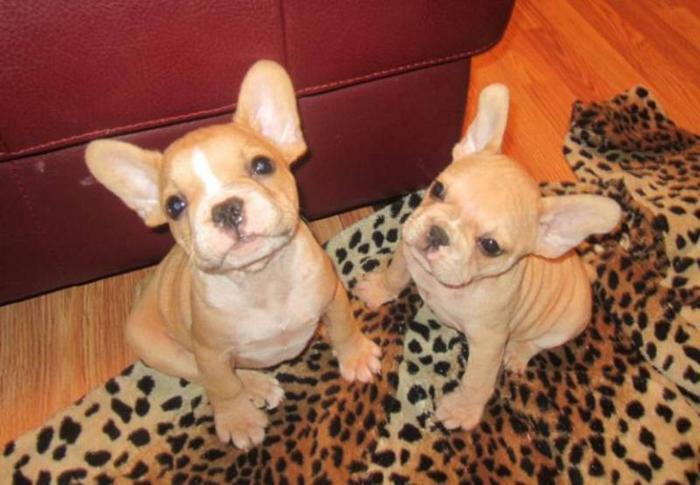 Beautiful Frenchies ready to go to new homes. Shots dewormed vet checked Micro Chipped potty trained. We have 3 females 2 creams and one dark brindle female and 2 red fawn males with a tiny white. last pics are mom and dad.Go to our website to see lots of pictures of our babies and parents. Over 20 years breeding bulldogs experience. breeding rights aviailable to small hobby breeder only .00 is pet price non breeding .00 with breeding rights these dogs are hungarian bloodlines.